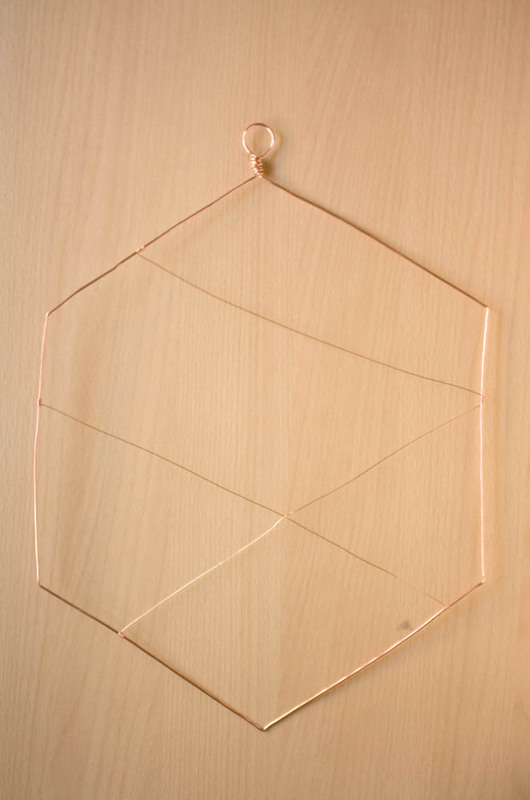 Trade up your plain office notice-board for this DIY copper wire version! As much as I love Pinterest, I still like to have a real notice board to pin notes, pretty pictures and pages from the Anthropologie catalogue! A few years a go I made a heart shaped memo board from wire to hang above my desk. I still like it and use it all the time, but I wanted something other than a heart. As I’m still loving my geometrics, a hexagon seemed the way to go and then I thought that I may as well throw in my copper obsession too! 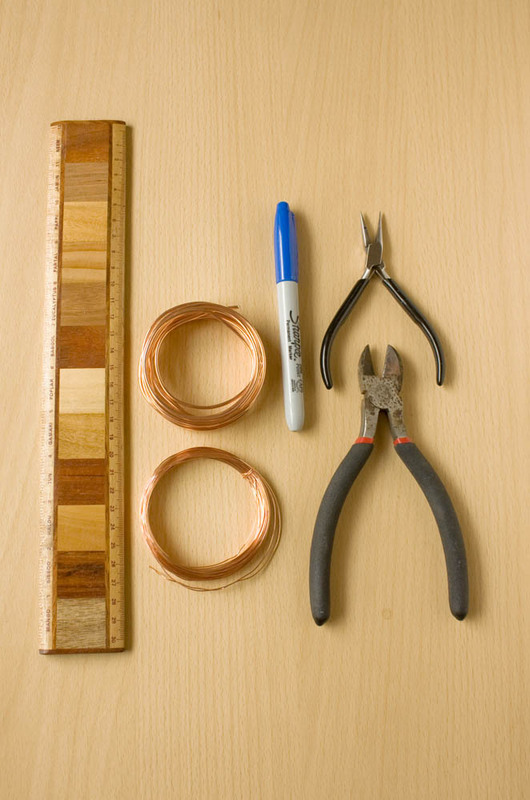 1.Cut a length of the thick copper wire approx 1.4 metres long which willl create a heaxagon 35-40 cm wide. Try to straighten the wire out as this will make it easier to measure! 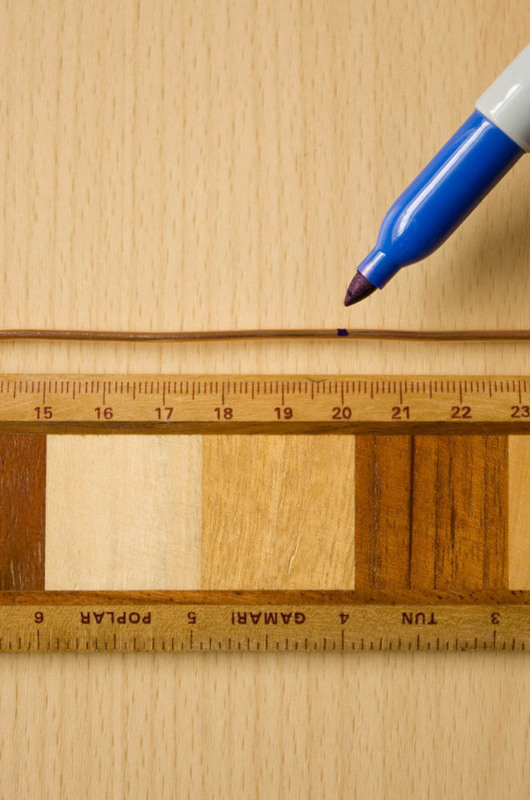 Start by marking 10cm from one end, then every 20cm along 6 times, leaving you with 10cm again at the end. 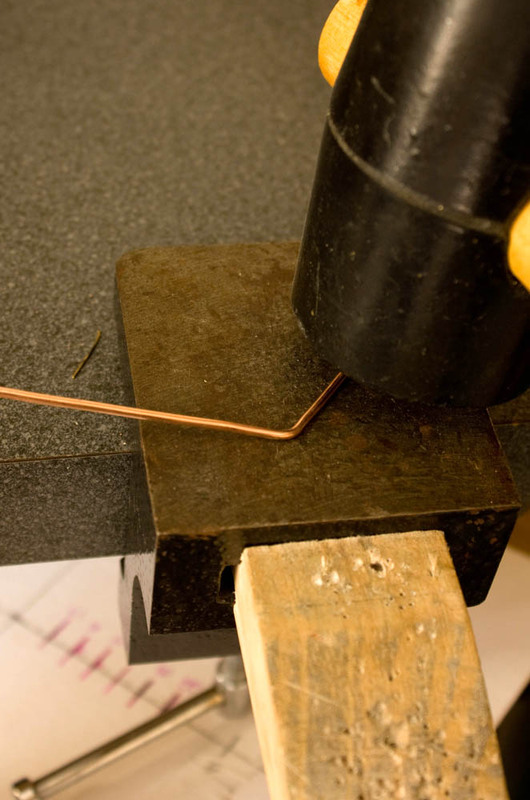 Thicker gauge wires like this will ruin nice jewellery pliers, to grab your DIY ones for this bit! 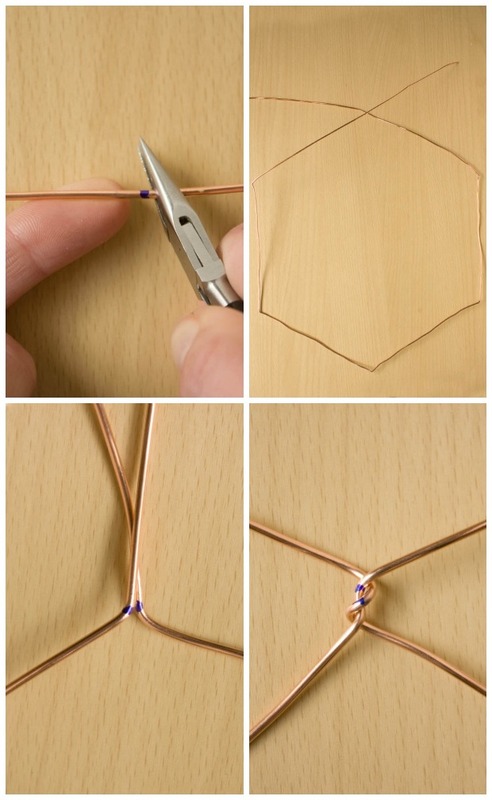 2.Take your chain nose pliers and bend up the wire at each point to form your hexagon shape ( I just eye-balled it, but for the more mathematically minded, the internal angles of a hexagon should each be 120°) TIP To make the wire bend at the mark, not off to one side, place your pliers to one side and your finger on the other. 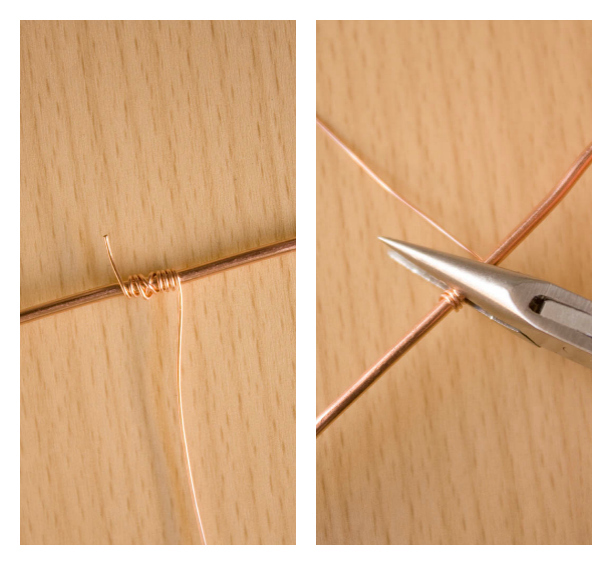 Then line up the last two marks, bend them both straight up and twist the wires together a couple of times to secure. 3. Grab a chunky marker pen, broom handle or something else the diameter you would like your loop to be. Bend one of the wires all the way around your object, then neatly wrap it over wher you twisted the two wires together. Wrap the other wire over top of this and cut off any excess wire. 4.Optional; if you have a rubber or nylon hammer and a steel block you can hammer the wire frame to straighten and harden it. 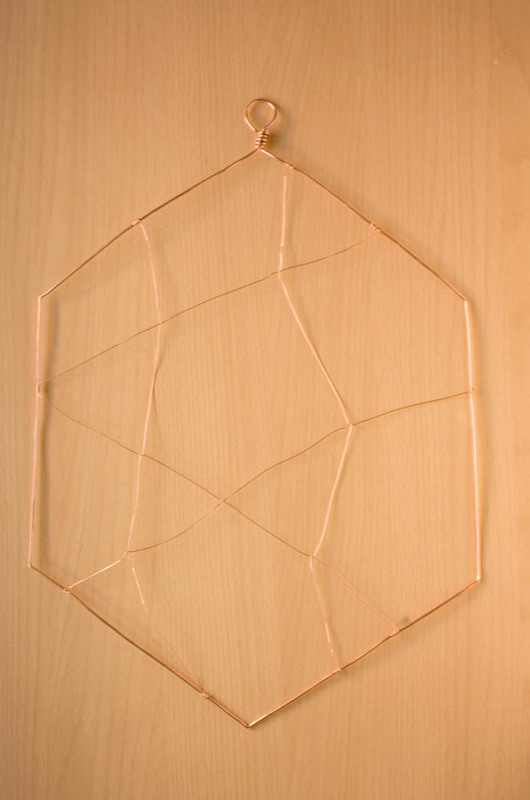 5.Cut a piece of the thinner wire about 80cm long and attach to the frame by wrapping it to the top left hand section. Wrap around about five times as neatly and tightly as you can and squash the coil with your chain nose pliers. This ‘crimps’ the coil, gripping the main wire frame to stop it sliding. Trim off any excess wire as close as you can to the main frame. 6.Run the wire through your hand to straighten and harden it then pull across to the right hand side and wrap it around the frame as you did before. Then repeat, this time taking the wire across to the lower left side. 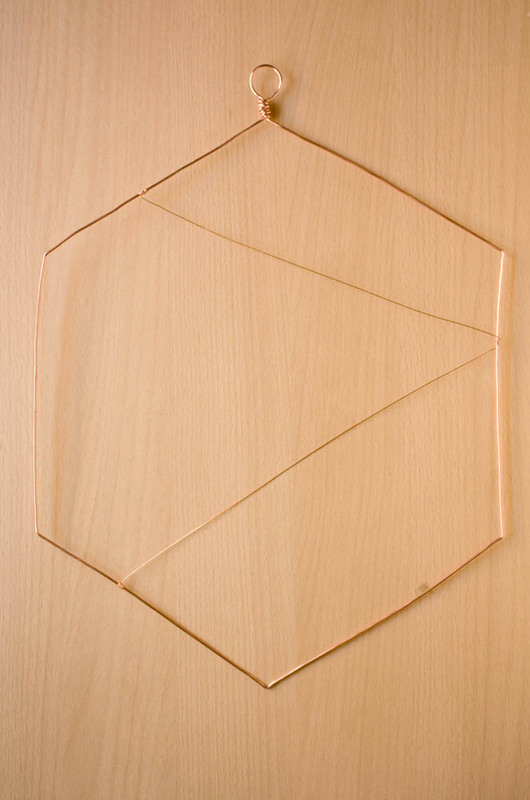 7.Take another piece of thinner wire and secure to the left side and take across to the lower right. This piece will cross one of the ones we have already put on, and to make the shape more stable, wrap around the existing wire just the once, before carrying on. 8. Now we will add two vertical thinner wires from the top to the bottom, wrapping the once around existing wires as the meet. Rather than just taking a straight line, I zigzagged to create more of a pattern. 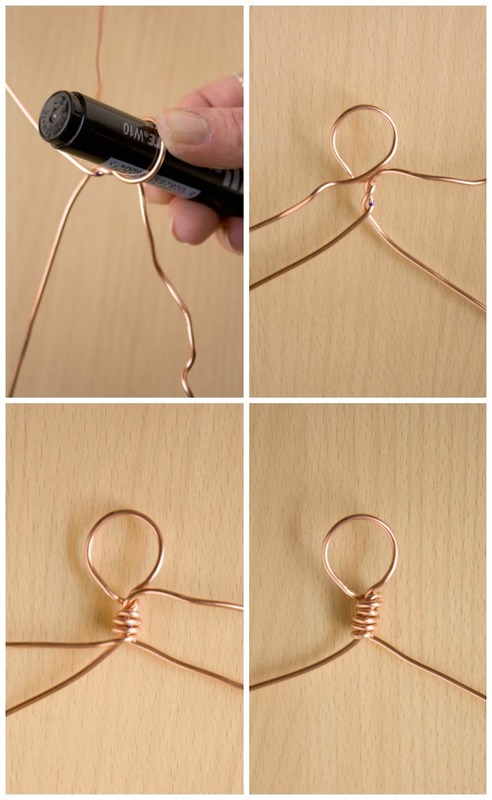 You can add more wires, especially if you make a larger sized shape. 8. You might need to neaten up some of the wires that haven’t been bent out of shape as you were working, but that’s just about it! I used normal and mini size clothes wooden pegs (decorated with a little metallic Sharpie!) to attach things to my board! You can do pretty much any shape and size board you wish and theres no need for this to stay in the office. How about a bigger one as a seating plan at a wedding? As always, I love to see your versions of Make and Fable projects, so let me know by commenting below, on Twitter, Instagram or Facebook! Happy Making! ← Which Jewellery Pliers Do I Need?